Juvenile, born Terius Grey on March 25, 1975 in New Orleans, Louisiana was one of the first rappers to emerge from New Orleans rich musical history. At the age of 19 his debut album “Being Myself” was released on New York’s Warlock label in 1994 to great critical acclaim. The album introduced him and the Southern style of Rap known as Bounce to the mainstream. In 1999 “Being Myself” was remixed and re-released by Warlock Records. The earlier cuts provide a glimpse of the lyrical craft that Juvenile would later perfect as he took the hip-hop world by storm in the late '90s. 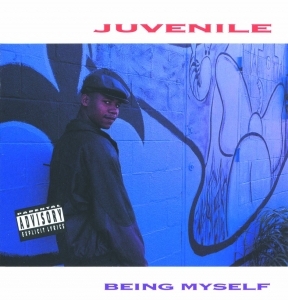 On choice tracks like "U Can't Come Around," "Sling It to Tha Back," and "G-ing Men," Juvenile pours forth the passionate rhymes that fans have come to expect from him.